On Saturday August 4, San Francsico's Public Works played host to Noisette, an afternoon festival dedicated to music and food. San Francisco has a fierce appetite for indie rock and an acquired lust for really good food. Noisette's organizers definitely know its clientele, especially when you consider they are the same folks who put together the Noise Pop Music Festival every February, and custom catered this event to the specific tastes of the denizens of its home city. Noisette was a decidedly San Francisco experience. Music enthusiasts and food connoisseurs, mutually exclusive or not, were treated to The Dodos, Pillowfight, Craft Spells, and Taken By Trees. Local muscians Nanosaur, Snacky Tunes and Chad Salty filled out the rest of the music portion. Admission to the event included receiving a small dish from each of the selected chefs, totaling nine in all. Among others, the food menu offered seafood gumbo, smoked rib-eye, grilled lamb cheek, and marinated mussels and butterfish. It also just so happened that much like the chefs represent their local restaurants, the vast majority of the musical lineup was all-local to the Bay Area. 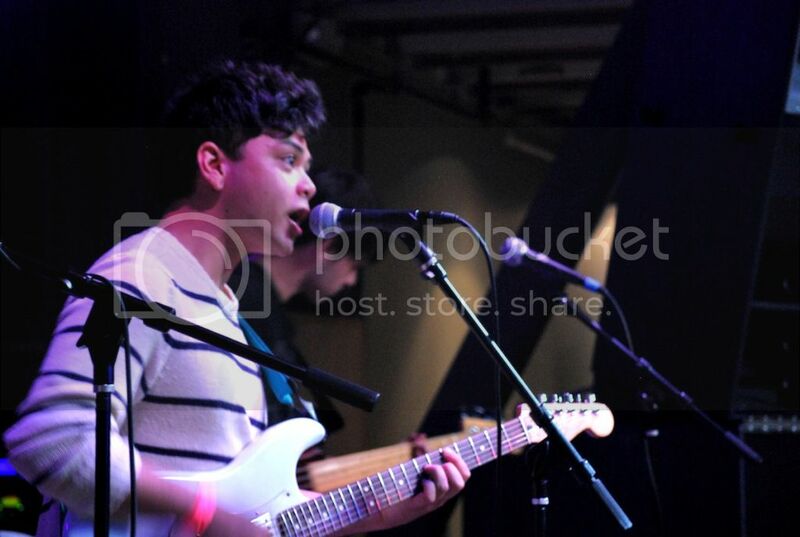 Stockton, California's Craft Spells, with its bedroom pop sound, held court during much the festival's midpoint. The deep echo in frontman Justin Paul Vallesteros's vocals combined with the rhythmic bass melodies capture a characteristic reminiscent of Ian Curtis and Joy Division. A tight and impressive set, Craft Spells set the tone quite well for the rest of the day. By the time the band neared the end of its set, the crowd all throughout Public Works started to fill up. In a nutshell, Public Works is the kind of music venue that you would equate to that of a mason jar. That is to say, the space is built similar to that of a homey warehouse, with a number of different ways that it can be utilized. Having Noisette here felt like a natural choice. Following Craft Spells was Pillowfight, a six-person outfit that includes Dan the Automator, Kid Koala and newcomer Emily Wells. Pillowfight is also probably the Noisette act most likely to be found performing Public Works on a Friday or Saturday night. Dan the Automater himself was the band's maestro in every way. Dressed in a white sports coat, blue jeans and skater shoes, he made it a point to even look the part. Wells, and her exquisitely powerful voice was probably the most memorable aspect of Pillowfight's set. 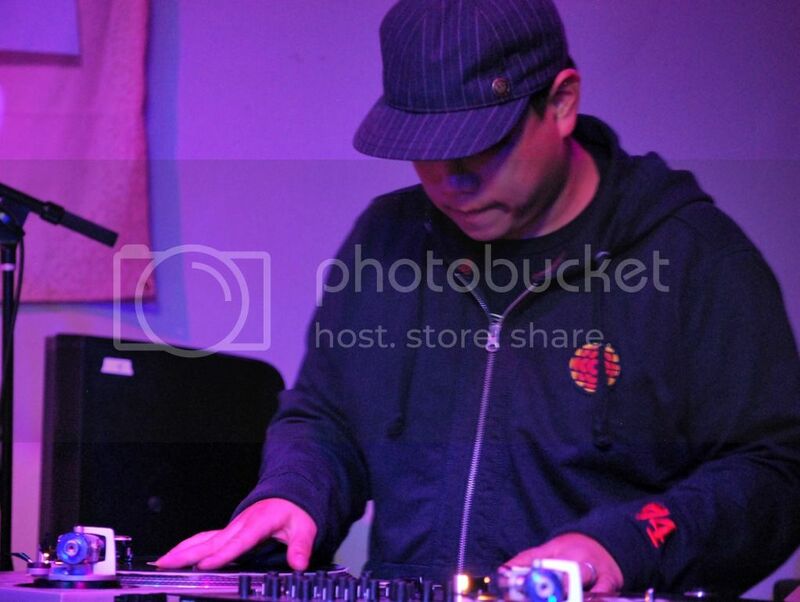 Mind you, that's taking nothing away from the rest of the band, as Kid Koala was in fine form. A lot of hoopla has been made recently about DJs being called "button pushers." While that issue is for another discussion entirely, it was just too much fun watching Koala, a turntablist by trade, and whom Dan referred to as being "Vancouver's greatest export," do his thing behind two vinyl turntables and a mixer, and with no laptop or headphones in sight. The last time the Dodos played a show in their hometown of San Francisco was back in February as part of the Noise Pop. From time to time, the two-man team of Meric Long and Logan Kroeber has enlisted the help of friends to play live with them while on tour. 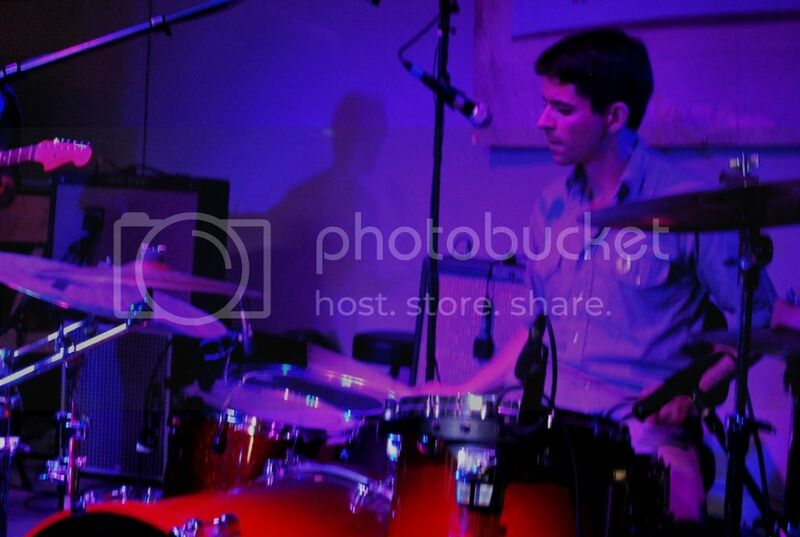 In 2011, Chris Reimer, guitarist for Women, went on road as the Dodos' second guitarist. In an unfortunate turn of events, Reimer had died in his sleep just a few days prior to this performance while out on his own solo tour. As a result, Long and Kroeber played with heavy hearts, and dedicated their performance to their fallen friend. Despite the difficult hand with which they were just dealt, Long and Kroeber's performance that night evoked something hopeful and inspiring. While experiencing The Dodos live and in the flesh, names like The White Stripes, DFA1979, Japandroids and The Black Keys will invariably spring to mind. After all, it's amazing how much noise can be created between just two people playing their given instruments. If Noisette's organizers wanted to avoid having attendees slip into food comas before the end of the day, then booking The Dodos must have been done partly to safeguard against just that. At least, that's what I entertained while watching Long and Kroeber close out the festivities. Loud and unencumbered live rock and roll, it's obvious that The Dodos were booked also because they happen to be a pretty good live act, too. It's more than just basic guitar and drums. Long and Kroeber are fundamentally sound musicians that exert every last bit of energy to shred that guitar and pound those drums. Watching The Dodos perform with all its might and energy is an enthralling sight. It's a type of intangible "it" factor that is requisite for all bands to be great live performers, but especially more so when the band is comprised of only two members.